What is one of the core elements of successful online business? I won’t be mistaken if I say that this core element is traffic. But why are we all obsessed with gaining traffic? The scheme is pretty simple. Traffic helps to move your online business forward crashing the competitors and attracting new customers. Gaining traffic to your website and pushing it up to the Google top 10 is a laborious process. You will have to implement SEO here. But where to start if you know nothing about optimization? 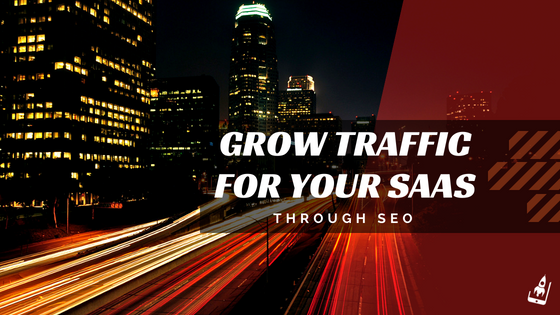 I am going to show you how to grow traffic for your SaaS website with the help of SEO. As this guide is focused on revealing the ways of gaining traffic for SaaS websites, I would like to start with the basics. In other words, I want to set the difference between SaaS and traditional software websites. SaaS (Software as a service) is a subscription-based model where the software is hosted in the cloud and accessed via the internet. And now let’s see how SaaS differs from traditional software services practically. It won’t be hard to conclude that SaaS takes over traditional types of software nowadays. But how to drive traffic to your SaaS website? Common sense can help you understand what people are going to ask on Google but if you want to know the exact inquiries, you will have to do more in-depth research. How to do this research? Let’s start with the basics first. Pay attention to the comments your customers share on your website. To what they ask in their emails. All these things can be helpful hints what your ideal customer would ask on Google. I believe it would be better to give you an example along the way. Thus, you will understand how to get the process on the right track. The examples above show that it isn’t as hard as it seems to predict search queries that might be used by your target audience. Here you will need to get more technical information on the keywords your target audience might use to find your product. 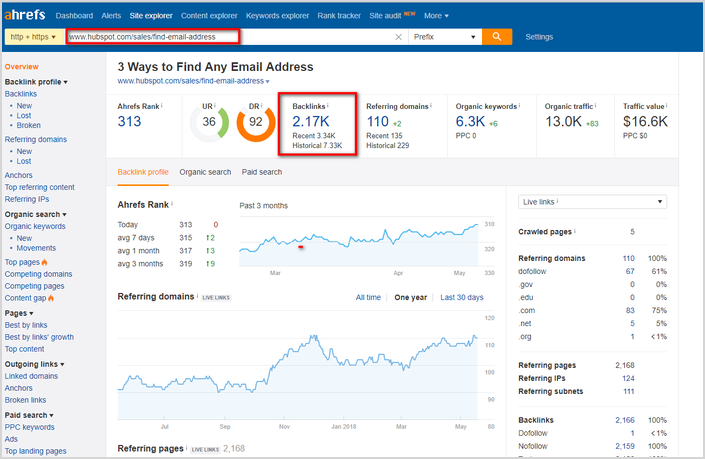 To get the data, I recommend you to use Keywords Explorer tool from Ahrefs. What data will you get? 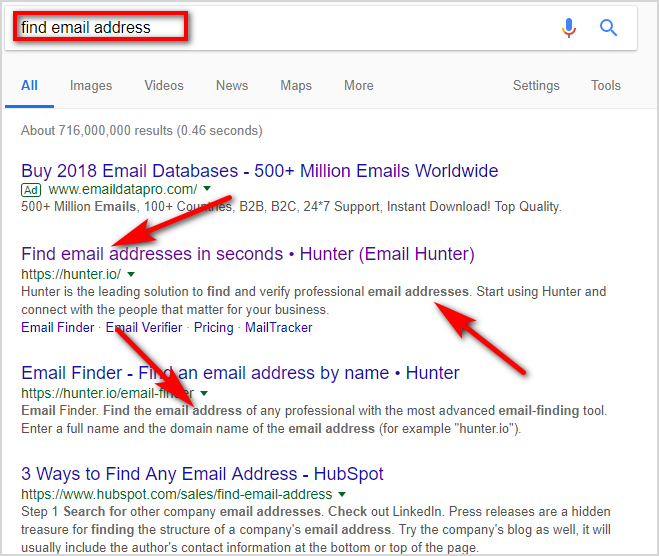 You can see from the screenshot above that the keyword “find email address” has search volume of 6.7K in the US only, which is a pretty solid number. If you pay attention to other countries, you will see that the next position by search volume belongs to the UK and it is 1.5K searches per month. 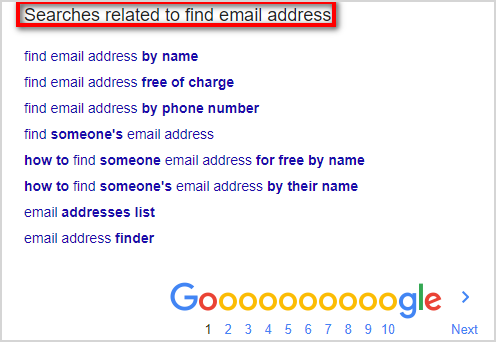 Furthermore, you can see a parent topic “email finder” with 6,7K search volume. You can optimize your content for this keyword as well. If you need more juicy keywords, you can get them using keyword generator tool. Social media marketing is another way of gaining traffic for your website. So, let’s see what you can do. 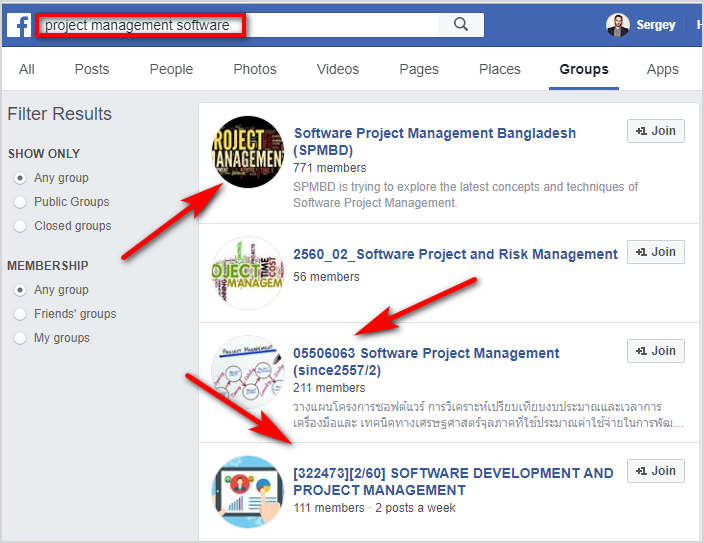 You can see a list of groups that offer the same service as you do. Thus, you can solicit customers these companies have. Forums and communities could be excellent helpers in growing your traffic and audience as well. 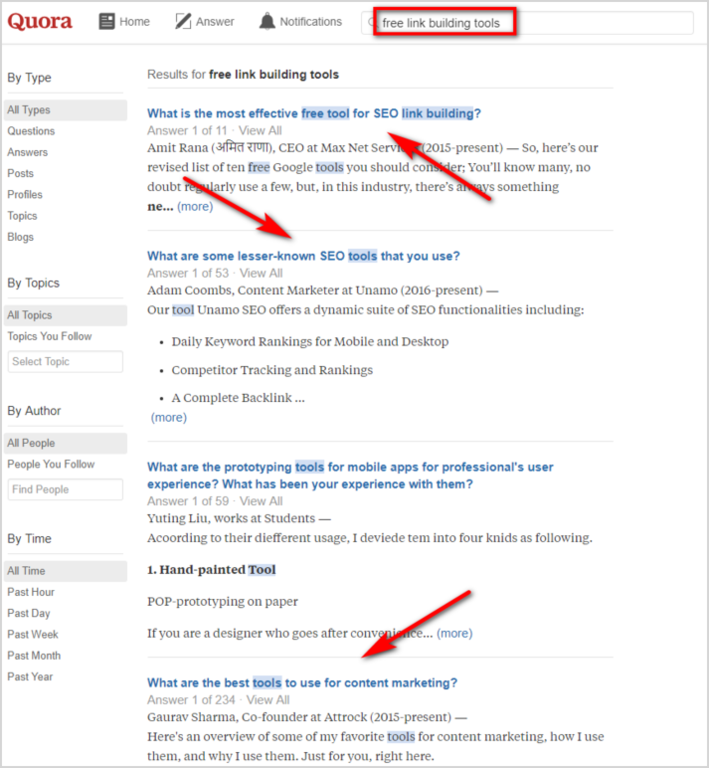 For example, Quora – a good match for finding ideas for your content. As you know, the primary goal of any SaaS company is to solve the problems people have. And creating content that gives answers to your customers’ questions is the right choice. Nothing complicated, am I right? There is no need to remind that you should optimize pages of your website for search. But what should you do correctly? It would be nice if you could help search engines with identifying pages across the website you host. To do this, you should include a couple of features that are ‘meta title’ and ‘meta description.’ Both of them must contain target keywords you want the pages to rank for. ‘Title tag’ aims to trigger users to click the page with relevant content that would contain a keyword typed in a search bar. ‘Meta description’ provides users with a summarized page content. It is obvious that content makes up the bulk of the information your website has. It means that your content must be uber useful and unique. If you can’t create high-quality content, you won’t push your site forward in Google, and no SEO trick will help you do that. Content is king, and it must always be oriented to your target audience. By the way, to run a blog successfully, I recommend you to produce long-form content. It is something around 2, 000+ words length. Separating content with headers and subheaders makes it easier for users to read it and helps search engines understand the structure of the website. We use so-called ‘H1’, ‘H2’, ‘H3’ divisions for content. H1 element serves as the main title for the piece of content. It should contain a target keyword. H2 element serves as subtitles for other sections of the post. I advise you to use long-tail keywords in these subtitles. Now I would like to show you how these headers and subheaders should be structured. 2.1 H3: Why your messages end up in a trash bin? Visual elements make your website more attractive to your customers. But crawlers can’t understand the information each image features. Thus, you should help them with this. Add ‘alt tags’ with descriptions to the images. 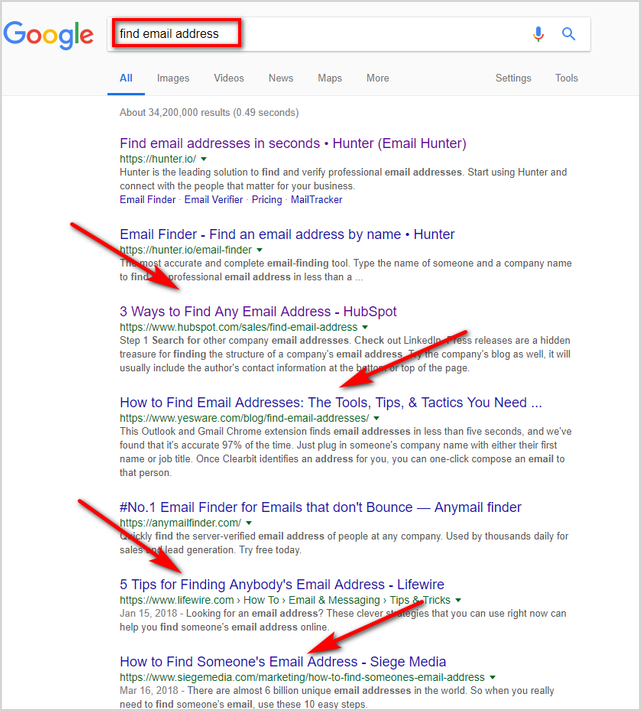 Don’t forget about implementing target keywords within alt tags. Internal linking makes the navigation across your website easier, and helps search engines to crawl your website. You should not neglect this option. I want to consider a few essential technical SEO elements you must not forget about. They are a site’s loading speed, sitemap, and a robots. txt file. 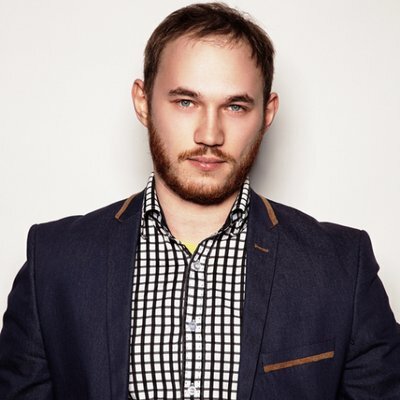 Of course, I couldn’t help mentioning one of the most prominent SEO ways of gaining traffic. This is link-building. I practice two link-building directions that work like a charm. I am talking about email outreach and guest posting. Email outreach aims to build business connections between people and build links as well. Here is a quick overview of this strategy by steps. First of all, write a piece of content that would blow one’s mind with its awesomeness. Then go to Google and search for competitors’ post that covers the same topic and has a fair amount of backlinks. Afterwards, your purpose is to see how many backlinks a preferable post has. Go to Site Explorer tool and put the URL of a given piece of content. The post has 2.17K backlinks that is a big number. I recommend you to filter down the results by date. Let’s see how many backlinks this post has for the past two months. As you can see the sum is 38 backlinks now. What’s next? Explore each backlink, find author’s email address and send a personalized email pitch for further collaboration. That’s it. Follow these rules, and you will succeed. It won’t be an exaggeration to say that SEO is a science that forces us to discover different strategies of optimization from all sides. Yes, it seems hard to accomplish, but it is possible for sure. If you found this post useful, feel free to leave your comments and share on your social media channels. Nicely put together article. It is necessary to look after SEO to grow your SAAS platform. Eventually there are many SaaS platforms do not look after their SEO campaigns therefore they failed regardless of best offerings in market. Excellent post! I have gone through the overall blog. It’s best explanation I have seen about SEO to grow SAAS platform. Thanks for sharing the information really looks very Informative. I Look forward to read more. By the way I will share on my social media site’s.